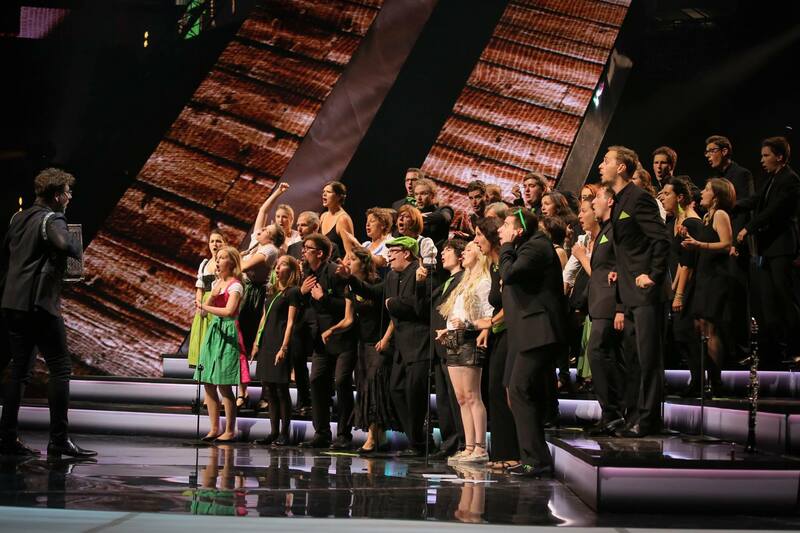 Tickets for the Grand Final of Eurovision Choir of the Year 2019 in Gothenburg, Sweden, are now on sale. The second edition of Eurovision Choir will take place on Saturday 3rd August at the Partille Arena in Sweden. Tickets are now available to purchase here. Prices start from 175 SEK (16 Euros). A total of eleven nations will be participating in the contest that is being held for the second time. The show will also feature the well-known Swedish orchestra Bohuslän Big Band together with a choir of over 450 singers from all over Sweden. This years competition will see the debuts of France, Norway, Scotland, Sweden and Switzerland at the competition. For Scotland it will be the first time that the nation has made an appearance at a Eurovision contest, following in the footsteps of Wales who made their first appearance in 2017. The show which will be held in Gothenburg will be hosted by Petroc Trelawny and Ella Petersson. Petroc hosted Eurovision Young Musicians 2018 when it was held in Edinburgh, while Ella is a TV host for SVT’s cultural programming.